Very good selection of quality equipment. They were helpful in explaining the use of a new machine I rented and wasn't familiar with. Great selection of tools and equipment to rent. It's a great place to rent anything I need. Danny and his staff are very friendly. We have worked with Danny and his staff on several events and they always do a great job. He always helps out with our Free Family Fun Day at church and contributes so much to our community. We had a great engagement party thanks to Grand Rental! Everything was exactly what we wanted. Danny and his staff were very accommodating and easy to work with. I would definitely recommend Grand Rental for all your party needs! Grand Rental Station are great folks to work with. We have used them for our annual company event for many years and the service given by Grand employees has been AWESOME!!! 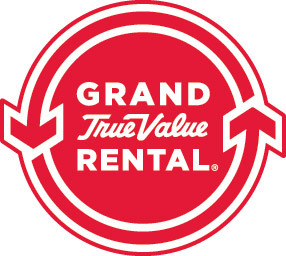 I tell the folks at Grand Rental what we as a company want and they make it happen and it is always a SUCCESS!!! Great people to work with, all of the staff are kind and courteous. Thanks Grand Rental! Rented chairs and a table for a wedding and had no problems with the process.